Want to know more about Hackney? Victoria Park is almost 200 years old and offers Hackney residents a wide array of outdoor options. If you want to immerse yourself in the London traditional English garden then Victoria Park is the place to go. There are a number of ornate fountains and trails to walk or ride bikes along. But if its high sun time in the summer you’ll want to be at London Field’s Lido, where the swimming pool is large and heated and the lawn chairs for sunning oneself are plentiful. But don’t think that it’s just a summer destination, the Lido offers swimming all year long, as does the London Aquatics Centre. The Olympics supplied the area with Queen Elizabeth Olympic Park where there is always plenty of amenities to enjoy. The center of South Hackney could be considered to be Ainsworth Road, South of Well Street and North of Victoria Park Road. 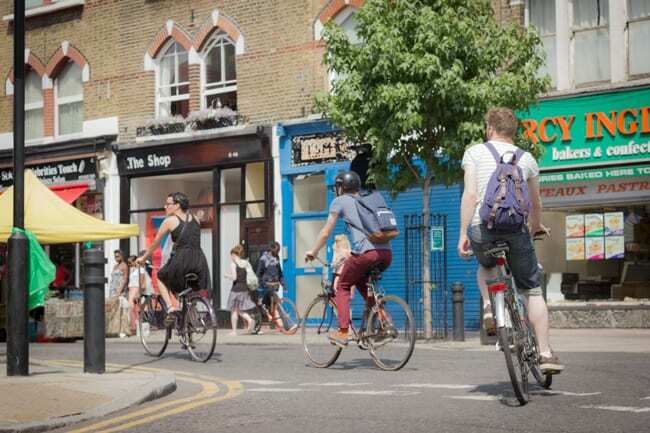 For South Hackney you will find the action centers along Mare Street for the most part, a number of Gastropubs and late night spots for young hipsters to enjoy. As far as restaurants, there are offerings from Vietnamese fresh and healthy Pho, to Argentinean meat substantial feasts. All in all it’s a great low key place to feel comfortable and is close to transportation throughout the East End and Central London. You’ll not want to miss a terrific and traditional London market on Broadway. It begins at Regent’s Canal and continues on to London Fields. Saturday’s are market day and you’ll have your choices of fresh vegetables and fruits, and meats that are organic as well as a wide array of fish. This is truly a London cook’s dream of ingredient gathering. Also close by and worth a weekend look is Chatsworth Road Market. To the east end of Hackney, you have the offerings of the Premier Inn’s restaurant and bar. Moving west at the heart of Hackney you have a ton of choices. If it’s brunch you’re seeking than find Lardo’s Italian on Richmond Road for an economical but delicious choice. There is Mess Café, don’t let the name fool you; they have a nice selection for a mid-day bite. Another place for a low key, come as you are atmosphere is Pidgin on Wilton Way, which offers a four-course, set menu of British fare. Another popular spot is the New Noodle Bar, which offers great selections of soups and is just across the street from the Hackney Empire. Hackney Empire is certainly worth a look as its restoration really highlights the ornate décor of this 1901 theater. To the South is The Lobster Bar boasting four and half stars, or the eclectic Rawduck, which has flavors from around the world and specializes in foods that are pickled and fermented. Another walk around the block is Hai Ha, a small and compact Vietnamese restaurant with the fresh selections that often incorporate mint. For a trendy deli, burger, bistro see out Eat 17 Hackney on Brooksby’ this spot allows you to eat and enjoy a meal and shop for the meals you’ll make at home for the week. Other food stores include a 24 hour Tesco’s near Hackney Central, a Lidl on Well Street, and if you prefer the more upscale food center there is a Marks & Spencer on Mare Street. But if it’s a night life and live music itch you want to scratch then just at the north end of Hackney you’ll find Oslo Hackney Club. While there isn’t a tube station for the London underground, the Overground is available in Hackney, as are a number of train stations. You can catch the Overground at London Fields station or the Hackney Central station, or Hackney Downs, or Dalston station. Hackney Downs also offers the Greater Anglia line from this station.